your trees are really twinkling Gran what did you use for stamping? Thank you Ellen. I used Seafoam White embossing powder..it's a heat it up one because I couldn't find a fine detail one! 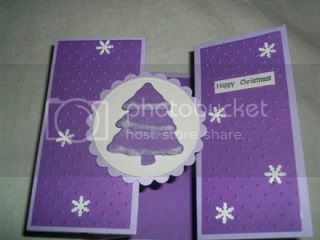 After a hectic weekend I have managed a few challenges, also some much needed Christmas cards needed doing! So thanks for the pointy boots and inspiration.